In this case (Rameshwar Prasad Shrivastava vs. Dwarkadhis Projects Pvt. Ltd.), the National Consumer Disputes Redressal Commission, relying on its full bench decision in Ambrish Kumar Shukla and others v. Ferrous Infrastructure Pvt. Ltd., dismissed the complaint filed by some of the allottees, as not maintainable since there was no application under Section 12(1)(c) of the Act as held in the full bench decision. Before the apex court, Advocate Priyanjali Singh, who appeared for the complainants-allottees, contended that the definition of the complainant as found in Section 2(1)(b) permits even a voluntary consumer association to espouse the cause of aggrieved party/parties and that the expression “one or more consumers, where there are numerous consumers having the same interest” ought to be given widest possible interpretation so as to sub-serve the underlying objectives of the Act and to make the redressal mechanism easy, cost effective and efficacious. She submitted that in cases having large number of apartment holders, if only some of them approach the consumer forum, their grievance redressal ought not to be forced to go through the mechanics of Section 13(6) of the Act read with the provisions of Order 1 Rule 8 CPC, as any such insistence would render the remedy exorbitant as cost required for newspaper publication itself would be quite prohibitive. 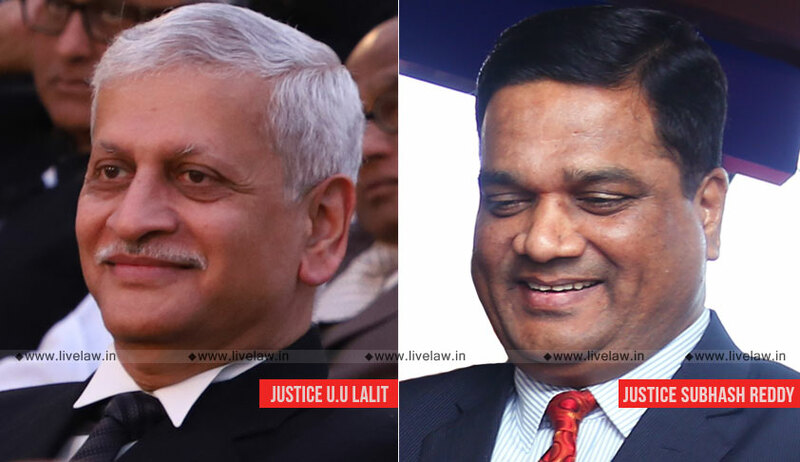 Rejecting the said submission, the bench comprising Justice Uday Umesh Lalit and Justice R. Subhash Reddy observed that the language used and the text in Section 13(6) is clear that wherever a complaint is filed by a complainant in the category referred to in Section 2(1)(b)(iv), the provisions of Order 1 Rule 8 CPC shall apply with the modification that reference to suit or decree shall be construed as reference to a complaint or order of the district forum. Taking into consideration that matters were pending with the National Commission for more than three years during which time the pleadings were exchanged and the evidence was filed, the bench allowed the complainants to approach state forum, and in that event, it said that the district forum shall proceed with the matter on the strength of same pleadings and the evidence laid before the National Commission.